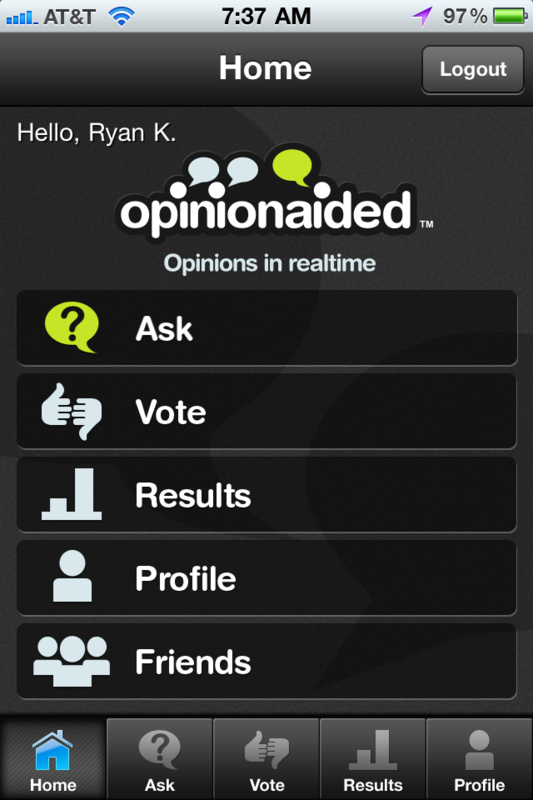 Opinionaided CEO Dan Kurani said the support is a testament to the engagement and interactivity Opinionaded has shown. He said there have been 50 million responses to 600,000 questions on the iOS app since it began last year. Kurani won’t say how many users he has, but that’s still a pretty impressive amount of activity in a Q&A app. Opinionaided won’t be mistaken for Quora or Stack Overflow anytime soon. Though users can ask more serious questions, the app elicits more lightweight opinion-type queries because of its simple and open approach. Users can pose any question in more than 20 categories. Respondents can then give a thumbs up, thumbs down or neutral vote as well as add an answer. At times, it can feel like a Hot-or-Not poll if you answer questions in the “attractiveness” category. But where the app stands out is that the response level is extremely high and immediate. Kurani said he originally hoped to get 10 responses for each question but it’s not uncommon for questions to receive dozens of up/down votes and comments within minutes. The answers are sometimes more of the opinion variety, but the immediacy is striking. That’s not always the case with other answer sites, where many queries go untouched or there’s a lag before responses come in. A lot of that is the app’s fast polling mechanism and Opinionaided’s ability to serve up a steady stream of questions to users. The fact that the app is mobile also helps create a lot of activity because it’s simple and easy to use for a couple of minutes at a time. Opinionaided plays on people’s compulsive nature and their desire to help, but Kurani said it’s not just a mindless voting app. The site returns solid answers and lets users reward good responses with stars, which help their reputation and improves the quality of answers. It also leads to more interaction among users, who are able to communicate around questions and shared interests. That’s where the value of Opinionaided seems to be heading: not in necessarily finding specific answers but getting quick general opinion feedback and building a community around questions. Kurani said there is room in the Q&A space for a more immediate and casual feedback system. He likens the service in some ways to a structured data Twitter, which he said could open up business opportunities. The company could allow brands to ask questions about their products and gather insights for a fee. Research firms could use the data for sentiment analysis. There’s still a ways to go before the app is regarded with the same respect accorded Quora and Stack Overflow, but the early results show that Q&A services can foster a lot of engagement if they’re mobile, simple and addictive.